Professor Hélène Esnault is a French and German mathematician working in Algebraic-Arithmetic Geometry. She studied at the École Normale Supérieure, got a PhD and a Doctorat d’État from the University Paris VII, and a Habilitation from the University of Bonn. She held a Chair at the University of Essen 1990-2012, then became an Einstein Professor at the Freie Universität Berlin, Germany. 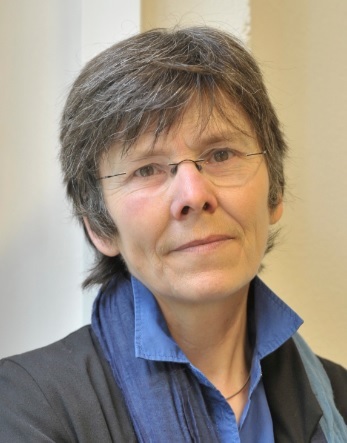 She received the Paul Doisteau-Emile Blutet Prize of the Academy of Sciences in Paris (2001), the Leibniz Prize of the German Research Council DFG (2003), an ERC Advanced Grant (2009), a Chaire d’Excellence de la Fondation Mathématique de Paris (2011), honorary Doctorate degrees of the Vietnam Academy of Sciences and Technology (2009) and of the University of Rennes (2013). She was an invited speaker at the ICM Beijing 2002 and the ECM Krakow 2012. She shall be Chern Professor at MSRI (Berkeley) 2019. She is a member of the German National Academy (Leopoldina) since 2008, of the European Academy (Academia Europaea) since 2014, of the Academies of North Rhine-Westphalia since 2005, of Berlin–Brandenburg since 2010.